SIIG's USB Optical Mouse with LED Backlit - Blue offers 7 automatic alternating backlit LED colors to provide amazing lighting display. This optical mouse is equipped with 4-button with scrolling wheel to enable smooth browsing experience. 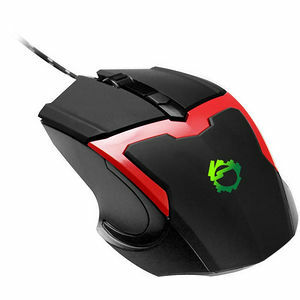 2-level adjustable DPI control allows precise cursor movement, great for gaming or graphic editing. This high resolution ergonomic mouse is designed to provide palm and wrist support to reduce fatigue while delivering smooth and precise cursor performance.